In a late-February post on these pages, the main topic of discussion was the fact that the federal government was able to report a record $4.3 billion in recovered funds from healthcare fraud schemes in 2014. As a corollary to that record figure, the Obama administration was able to point out that the government’s most recent three-year monetary investment spent investigating healthcare fraud was providing the largest three-year return on investment in the 17 years that the federal Health Care Fraud and Abuse Control Program has existed. However, San Francisco qui tam lawsuit attorney Gregory J. Brod suggested that a possible reason why Washington was enjoying such great success could be attributed to one of two reasons: either the government was improving its methods for identifying healthcare fraudsters or there was a significant uptick in the number of people attempting to steal money from the government, or both. A variation on the theme that the number of people who have entered the business of defrauding the government’s healthcare programs such as Medicare came to light in a report issued by the inspector general of the Department of Health and Human Services, who determined that the government may not be getting properly informed on potential fraud linked to Medicare’s drug program and thus is missing much of the fraudulent activity. 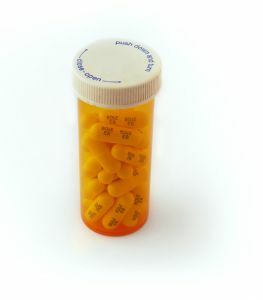 The inspector general’s findings, reported in Fox News, were very similar to the conclusions set forth in a ProPublica investigation published in December, when it was found that Washington does little to stop thieves from pilfering funds from Medicare’s Part D. According to the inspector general’s report, fewer than half of the insurance companies that have been paid to administer Medicare Part D reported data to the feds concerning potential fraud and abuse between 2010 and 2012. That equation was little changed from a prior inspector general report in 2008, when it was found that most cases of fraud and abuse were reported by a fraction of the number of Medicare Part D insurers. It should be noted that Medicare does not require insurers to report data on fraud. The Centers for Medicare and Medicaid Services, which is a devision of HHS, as recently as January 2010 urged Medicare Part D plan insurers to report data on their anti-fraud activities every year. That, the agency said, would help them control fraud and abuse. The inspector general, though, recommended that the CMS mandate that insurers report cases of fraud to Medicare. Oddly enough, some Medicare and CMS officials have expressed the position that data reporting should be voluntary and that if it were required from insurers the agencies would be swamped with data. “We believe that requiring Part D sponsors to report all potential fraud and abuse would have the potential to inundate the agency and our contractors with an unwieldy amount of information that would not necessarily yield a better outcome in terms of stopping Part D fraud,” wrote CMS administrator Marilyn Tavenner in a response to the inspector general’s report. The comments of a few government officials notwithstanding, the reporting of information on potential healthcare fraud by whistleblowers is encouraged, and those brave individuals enjoy protections under the False Claims Act as well as a share of any judgment won in a case they file on the government’s behalf. If you have knowledge about a scheme to defraud Medicare, please contact the experienced attorneys at the Brod Law Firm for a free consultation.